Graven on stones and rings. Wrapped, as in a mist. In a land of dreams. Lift men to their height. Breathed, and was no more. I just heard, that this morning Brother Gerald A. Ford has passed to the Celestial Lodge above. 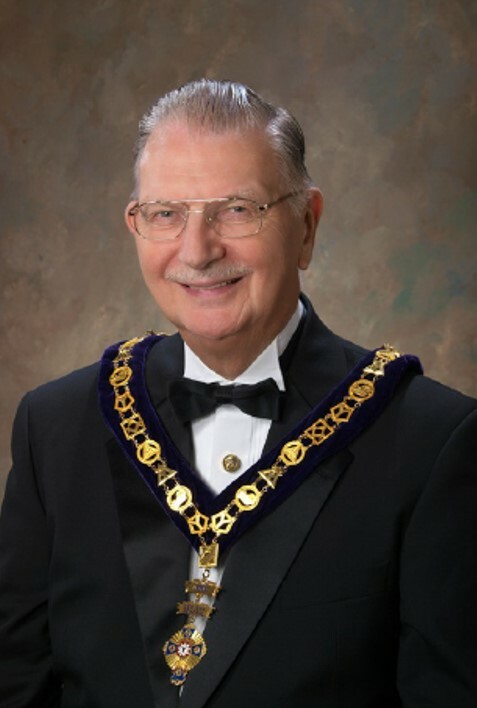 He was an accomplished Freemason having served as Right Eminent Grand Commander of Colorado (1993-1994), Northwest Department Commander (2000-2003), Most Excellent Grand High Priest of Colorado (2005), Past Grand Preceptor of the Holy Royal Arch Knights Templar Priests (2009), Past Governor General of the York Rite Sovereign College of North America (2012-2014), Chief Adept of the Colorado College of the Societas Rosicruciana in Civitatibus Foederatis, and Primus Master of Rocky Mountain Chapel #26 of the Commemorative Order of St. Thomas of Acon. Gerald Alan Ford, 76 - Gerry was born September 16, 1939 in Melrose, Massachusetts to Albert Franklin and Doris Mae Folsom Ford. He had a brother Richard 13 years his senior. Because of the age difference they really didn't get to know each other until they were adults. He attended elementary and high school in Melrose and after graduating from high school his first job was working at the Necco Candy Company where his father was an accountant. He joined the US Air Force in November of 1957 and was sent to San Antonio, TX to begin basic training. From there he went to Wichita Falls for specialized training. After training he was sent to Lowry Field in Denver where he saw President Eisenhower when he landed and parked President Nixon's plane. He met his first wife Sandy at the USO Club in downtown Denver and married her shortly after. Sue Ellen and David Alan were both born at Fitzsimmons hospital. His next duty post was located just outside Paris, France and this is where Sherryl Lee was born. After 2 years there and many sightseeing trips in the area they returned to the US where he was stationed in Columbus, OH. They spent a short time also in Sumpter, SC where Julie Ann was born. Gerry was then sent to Udorn, Thailand but upon landing only had about 24 hours there as they changed his orders and sent him on to Tuy Hoa, Viet Nam on the Gulf of Tonkin. He was in Air Rescue with C-130P but in his off duty hours managed the base movie theatre for some extra money. They had a nice beach there but it was overrun by jelly fish for a while. When he returned to the US, he asked to be stationed anywhere west of the Mississippi River only to be sent to Dover, DE. After only being there a short while they attempted to return him to Viet Nam and it was about time to re-sign with the Air Force and he decided to become a civilian again. The family returned to the Denver area where his father-in-law taught him all about framing houses, interior carpentry and all things wood. He loved working with wood and being a perfectionist, everything he touched was beautiful. The family lived in Frisco for a while where he was the construction superintendent on several condo projects in Keystone and the building of the fire stations in Breckenridge. They came back to the metro area and he adjusted to single family home construction. With all of the moving about, Gerry and Sandy decided they would part company. Around that time he met Audrey and they formed a wonderful friendship and married in 1982. At that point he gained another son, Joseph Scott and a daughter, Angela Renee. From 1984 on he was employed by the Masonic Fraternity with one group or another. He did take a brief respite and worked for about 5 years as the COO for National Association of Credit Management. When he left there he became the Grand Secretary of the Grand Lodge of Colorado and as they say, the rest is history. He retired in 2009 but did help the Grand Lodge for several months in 2014. While living in Frisco, he joined South Denver Lodge #93 in 1973 with Jess Mann signing his petition. He drove back and forth from the mountains every Tuesday night muttering to himself learning the ritual. Wayne Arner tapped him in 1974 to become a line officer in the lodge and with that he was off and running. He joined South Denver Chapter #42, RAM on May 28, 1975, Arapahoe Council #23, CM on September 23, 1975, and Ascalon Commandery #31 on December 11, 1975. Next was the Scottish Rite on November 15, 1979 becoming a 32° Mason, receiving his Knight Commander of the Court of Honor on October 21, 1985, and earning his Inspector General Honorary on October 22, 1991. 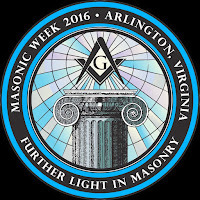 Along with all of these organizations, came all of the appendant bodies that are associated with Masonry. I don't think he missed out on any of them. Of course, if you are going to join something, you jump in with both feet and work your way up the ranks. It wasn't good enough for Gerry to settle with what was close by. He had to join numerous bodies in other states and countries as well. When that didn't satisfy him, he was appointed to national officer lines where he excelled with great enthusiasm. He loved everything Masonry and it in turn showered him with much happiness. Somewhere along the line Howard Montague and Judson Manning convinced him he had time for another endeavor and he joined the Mile Hi Optimist Club and as with everything else, he became their Secretary and eventually was the Club President. He loved working with the kids at the local Boys and Girls Club they sponsored where they had bicycle rodeos and helped the kids learn the care of their own bikes. His actions after retiring were like a 5 year old when asking if he could have a dog. When Audrey agreed, he went immediately to the local animal rescue facility and found his beloved Chesapeake Bay Retriever, Callie. They were constant companions to his last breath. Last week was a great time of fellowship and brotherhood. 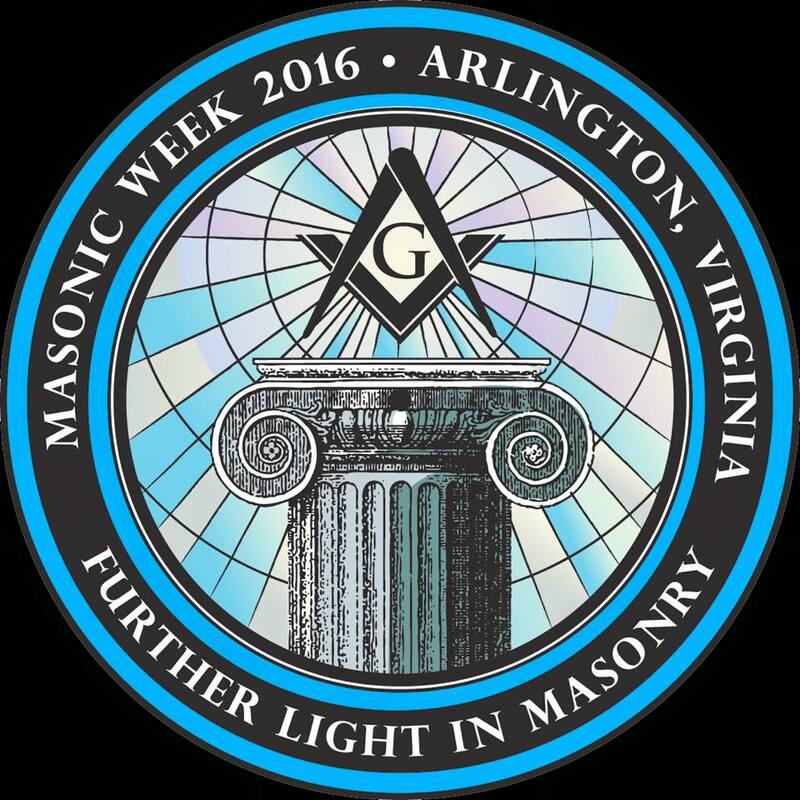 Masonic Week occurred last week in Arlington, VA. I accomplished a great deal with St. Thomas of Acon, met some new Brothers, and had a very fun time. Thursday morning started off with the Commemorative Order of St. Thomas of Acon. We brought in some new knights before the Grand Master's Council convened. A new Most Worthy Grand Master was elected and installed along with a new cadre of officers. In the afternoon it was time for the annual meeting of the Provincial Grand Court of the Masonic Order of Athelstan, Province of the USA. After that ended, I came upon the Grand Registrar of the Grand College of Rites and was able to purchase from him two editions of the Collectanea; one on the Martinist Order and the other on the Rite of Strict Observance. The evening was spent hosting Brothers in the NW Hospitality Suite. The Grand Council of Knights Masons, USA, met Friday morning with the usual business. Not content with just the two books I bought on Thursday, I purchased several more books on Royal Arch Masonry...now to figure out how I'm going to pack them home. In the afternoon the Grand College of America of the Holy Royal Arch Knights Templar Priests met and as I'm not a member, I got the time off. The Sovereign Order of the Knights Preceptor met in the early evening before the All Masonic Banquet. The night was concluded with a meeting and conferral of Ye Antient Order of the Corks. I nearly missed the annual meeting of the Grand College of Rites because I slept through my alarm, but thank God for the Brothers who came and knocked on my door. After the meeting of the GCR, there was the meeting of the Nine Muses Council #13, AMD, as well as the conferring of three degrees of the AMD. The Philalethes Society Luncheon was an intimate affair with a presentation by the Editor of the group's magazine. The Grand Council of the Allied Masonic Degrees of the United States of America met Saturday afternoon which was followed by the annual meeting of the Sovereign Grand Master's Council, where I served as Junior Warden for the meeting. Saturday night started with the annual banquet and meeting of the Masonic Society where good food and an even better presentation was given. I decided on a whim to attend the meeting and conferral of the Masonic Order of the Bath, which, like the Corks, makes a fun end to a long day of Masonic meetings. After the meeting had concluded I retired to one of the Hospitality Suites hosted by a Brother and while there received a phone call. I was informed that at the meeting of the High Council of the Masonic Order of the Bath, I had been selected to be the Right Honorable Keeper of the Bath Mat for the ensuing year; this position is the beginning of the progressive line of officers. I happily accepted and look forward to the next 6-years in this line. The rest of the night was spent having some great Masonic discussions back in the Hospitality Suite. Sunday morning was spent packing and the rest of the day was spent traveling...in a circuitous route...back home. Now I'm back home, working on some Masonic To-Do Lists, finishing some homework, and catching my breath. There are a variety of organizations considered under the Masonic umbrella. This includes the youth groups like the Job's Daughters, DeMolay, and Rainbow Girls, but there are also lesser known groups like the Knights of Pythagoras, Organization of Triangles, Inc., and Asociacion de Jovenes Esperanza de la Fraternidad. These youth groups provide a place for young men and young women to learn important life skills, and Freemasons can provide guidance and mentoring. I have served as Associate Bethel Guardian for a Bethel and have begun to get involved with a local DeMolay Chapter. Serving in these roles has been very fulfilling and even if the day has been long, busy, hectic, or just plain awful, attending a youth group meeting always brought a smile to my face and made my day better. Job's Daughters International is an organization for young women age 10 to 20, and who are related to a Master Mason or a Majority Member (a woman who was in Job's Daughters). As in Freemasonry, young women are required to have a belief in a Supreme Being. It was founded by Ethel T Wead Mick (affectionately known as "Mother Mick) in Omaha, NE, on October 20, 1920. The purpose of the order was to band together young girls with a Masonic relationship for character building through moral and spiritual development, teaching a greater reverence for God and the Bible, patriotism, and respect for parents. The local organization is called a Bethel which is presided over by an Honored Queen and supervised by a Bethel Guardian (and a Guardian Council). The state level is called Grand Bethel which is presided over by a Grand Bethel Honored Queen and supervised by a Grand Guardian (and council). Job's Daughters International is headed by a Supreme Bethel Honored Queen and with adult supervision from a Supreme Guardian (along council and Board of Trustees). There are Bethels all over the United States, but are also found in Australia, Brazil, Canada, and the Philippines. Job's Daughters takes its name and rituals from a story in the Biblical Book of Job, but membership is open to young women of any faith; Job 42:15 states "And in all the land were no women found so fair as the Daughters of Job." 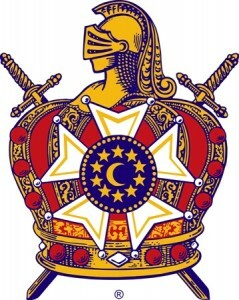 The Order of DeMolay is an organization for young men (12 to 21). Unlike Job's Daughter, the young men do not need to be related to a Mason to join. Though like Freemasonry, it does require young men to hold a belief in a Supreme Being. The Order of DeMolay was founded by Frank Land in Kansas City, MO, on March 24, 1919 (though March 18th is also used to commemorate the death of Jacques DeMolay). The basic organizational structure of the order is the Chapter which is presided over by a Master Councilor. The young men receive guidance and mentoring from adult advisers known as "Chapter Dads." Chapters form the State Chapter and is presided over by the State Master Councilor. The adult adviser is called the "Executive Officer." DeMolay International is presided over by the International Master Councilor along with the Grand Master (adult adviser). There are Chapters located in Argentina, Aruba, Australia, Bolivia, Brazil, Canada, France, Germany, Italy, Japan, Panama, Paraguay, Peru, the Philippines, Romania, Serbia, the United States, and Uruguay. This youth group takes its name from Jacques DeMolay, the last Grand Master of the Knights Templar, who was executed in 1314 by the French King, Philip the Fair, during the suppression of the Knights Templar. The virtues of reverence, love of parents, comradeship, patriotism, courtesy, cleanness, and fidelity are taught through the rituals of the order. DeMolay also teaches leadership skills, financial responsibility, civic awareness, and public speaking. Aside from the initiatic ceremony also confers the honors of Legion of Honor, Chevalier, Blue Honor awards, and Merit Medals. The International Order of Rainbow for Girls is an organization for young women, ages 11 to 20. Though, unlike the Job's Daughters, applicants do not need to have any relationship to a Freemason. This group was founded by Reverend William Mark Sexson in McAlester, OK, on April 6, 1922. The basic organizational level for this group is called an Assembly which is presided over by a Worthy Advisor and Mother Advisor (adult supervisor). The next level is called the Grand Assembly which is presided over by a Grand Worthy Advisor and Supreme Deputy. The international level is known as the Supreme Assembly and is unique in that there is no young woman or youth leader. The Supreme Assembly is governed by adult advisors in a group known as the "House of Gold," composed of 50 Supreme Inspectors. Outside the United States, there are Rainbow Assemblies in Aruba, Australia, Bolivia, Brazil, Canada, Italy, Paraguay, the Philippines, Puerto Rico and Romania. The Rainbow ritual is based on the story from Genesis of Noah and the Great Flood. After the waters receded, God made a promise that He would never again destroy the Earth. As a sign of that promise, He placed a rainbow in the heavens. Although its teachings are based on Christian writings, the order is open to children of all religions; the Christian lessons are simply used to show basic values that are integral to many religions. The lessons encourage members to be strong in spirit and kind in heart, respectful toward nature, and giving toward all humanity. Each of the colors of the rainbow is associated with a particular virtue or source of inspiration: Red (love), Orange (religion), Yellow (nature), Green (immortality), Blue (fidelity), Indigo (patriotism), and Violet (service).